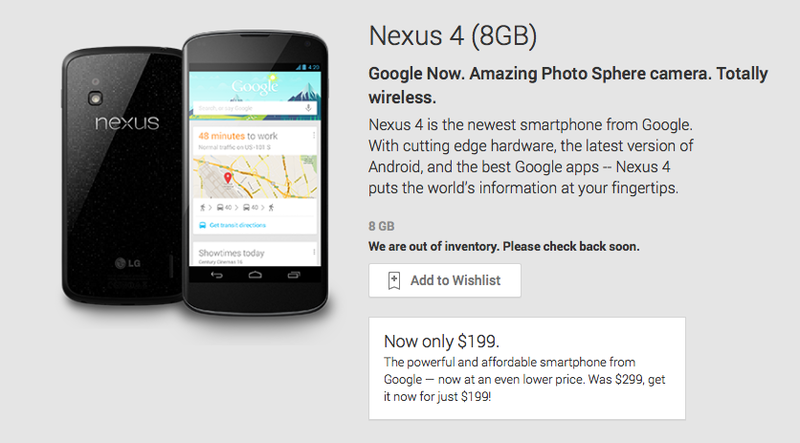 A bit of disappointing news that might be wrapped in exciting news as the 8GB Nexus 4 sells out of Google’s Play Store. However, even as Google briefed The Verge the model won’t be replaced…it raises the question if a Nexus 5 is on the horizon. There’ s been no shortage of rumors on the Nexus 4 successor, including a back and forth on whether LG or Motorola has gotten the nod for production. With a $100 price drop just one week ago, it was a sure thing that demand for the Nexus 4 would jump almost immediately and that’s likely the cause for the sell out. The 16GB model is still available for $249 and while it lacks LTE connectivity, it’s still a Nexus device which means no shortage of future Android updates. At the $249 price, the Nexus 4 continues to be an ideal smartphone for customers looking to avoid contracts even if the successor is on the horizon. I’d grab one just for posterity sake at this point, bury it in the backyard and have it come out as a collector’s item. Ok, maybe that won’t happen but it’s a great deal and you should grab it before it’s too late. If T-Mobile only made the app available, instead of requiring it to be baked in with a dozen other apps that are bloatware. Check XDA, I believe there is a work around. The website says “Sold out. Check back soon.”. Assuming they really aren’t going to replace inventory, I find it irritating that they didn’t remove it from the site or mark it as “unavailable, we don’t know when we’ll get more”. Maybe they’ll get a stash from somewhere. The gopro2’s were long sold out by the manufacturer, however a few months ago, Costco had a stash of them on sale….So I picked up two. No, it “raises” the question, it does not “beg” it. I think you’re fighting a battle that has long since been lost. No. The war to ensure that language remains clear and well-understood is never-ending. There is no conflict more important than in ensuring that reporters don’t use words and phrases incorrectly in order to sound smarter or more important. I want to know how events like this “affect” me, not how they “impact” me. I also want to know whether they “raise” questions, or if they “beg” them, because there is a difference. http://www.merriam-webster.com/dictionary/impact – look at definition 2a. Once you start arguing with dictionaries, you’re really in trouble. hopefully Motorola would get a Droid Nexus or at least the Nexus counterpart of an existing device like the Droid Ultra….just saying, i would love to see Sony or Motorola getting into the nexus bandwagon. 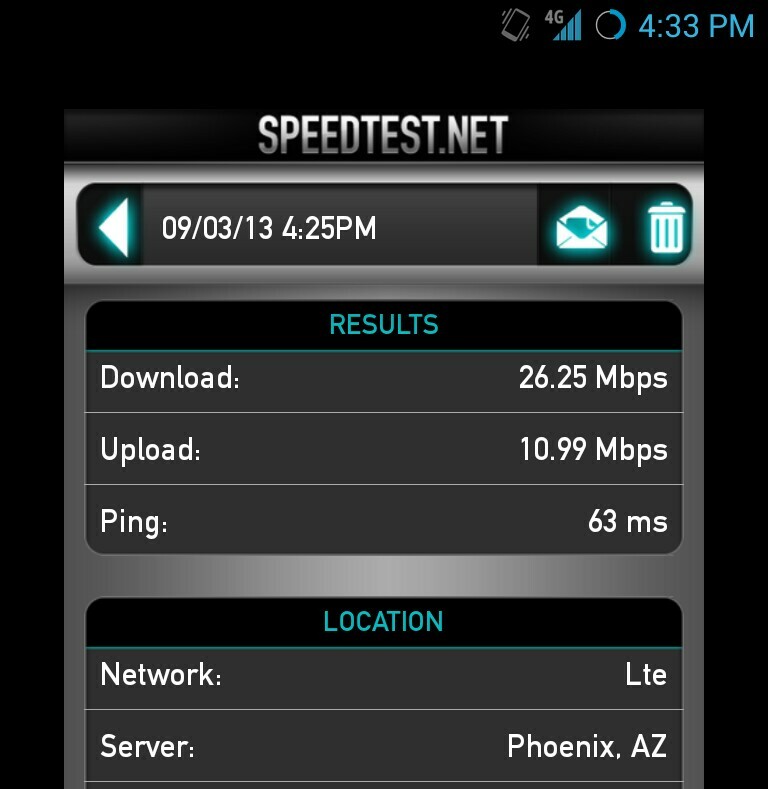 Just did a SpeedTest, LTE seems to be working fine on my Nexus 4 lol. I thought about buying a 16gb as a back up phone but honestly it’d probably just sit on the shelf with my netbook and Kindle 2 collecting dust until it’s completely outdated and ready to be donated to Goodwill.